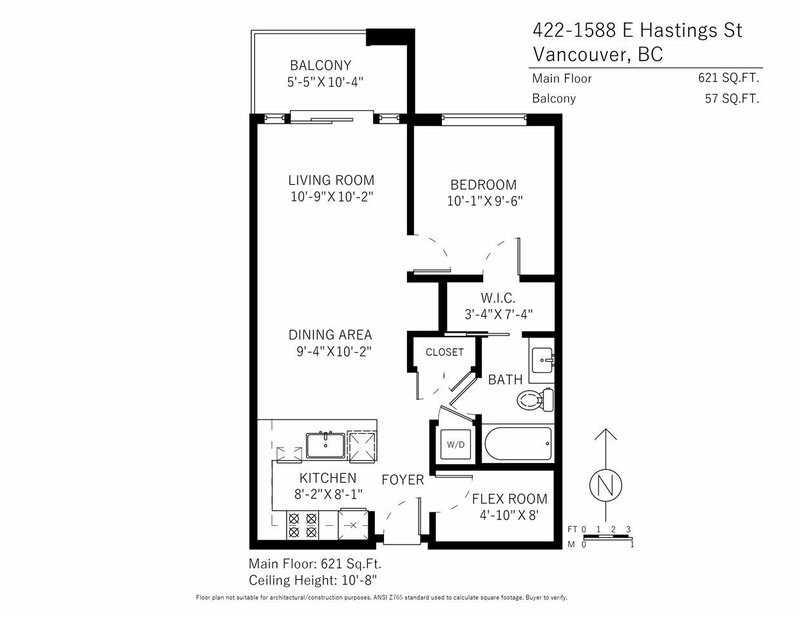 422 1588 E Hastings Street, Vancouver - 1 bed, 1 bath - For Sale | Guy Christie - Oakwyn Realty Ltd. 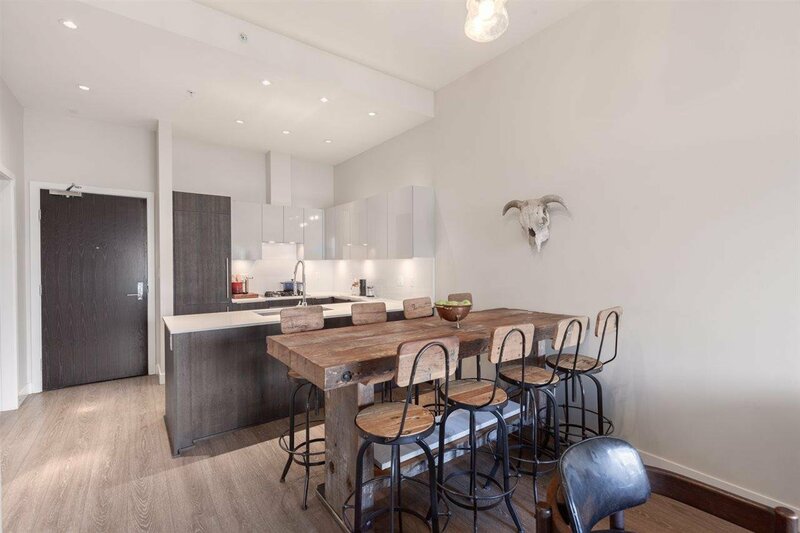 Welcome to Boheme! 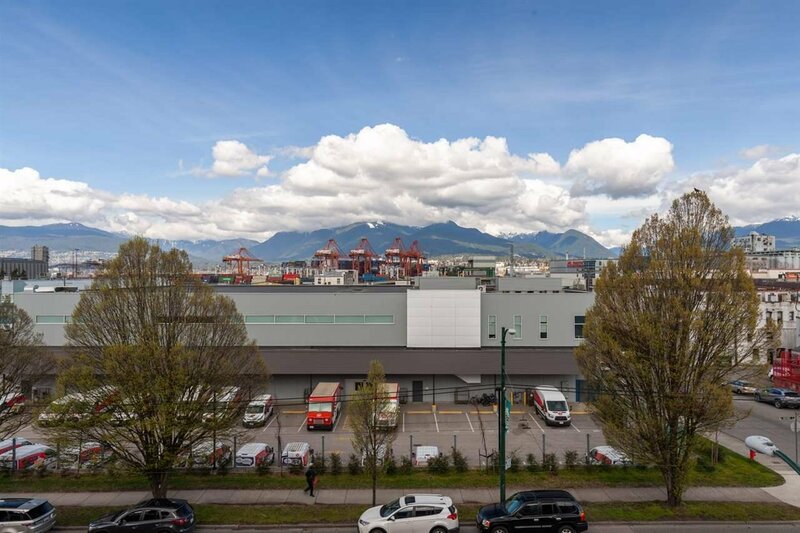 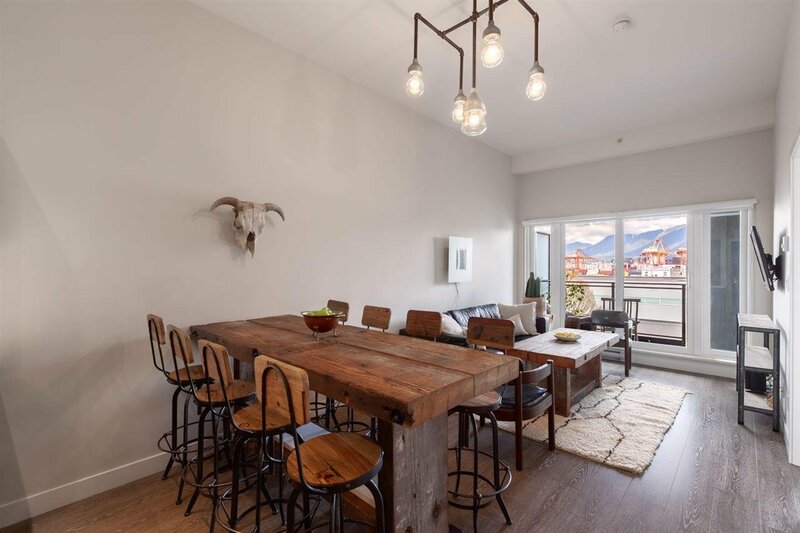 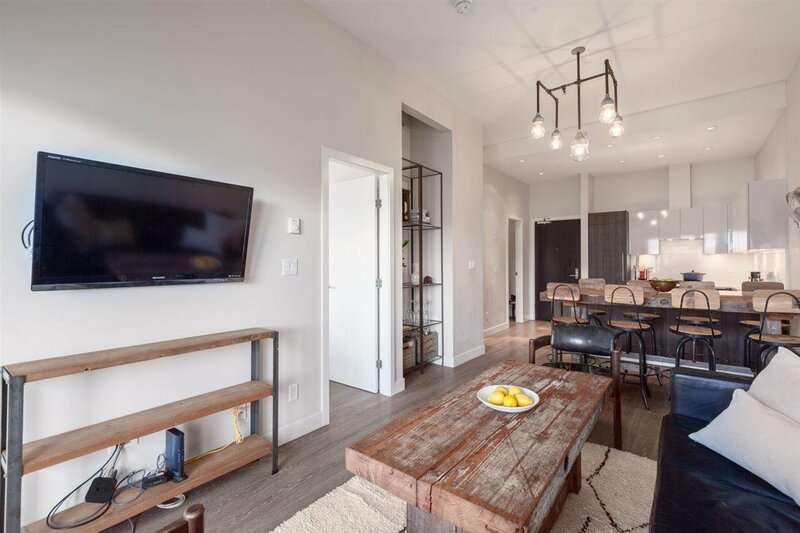 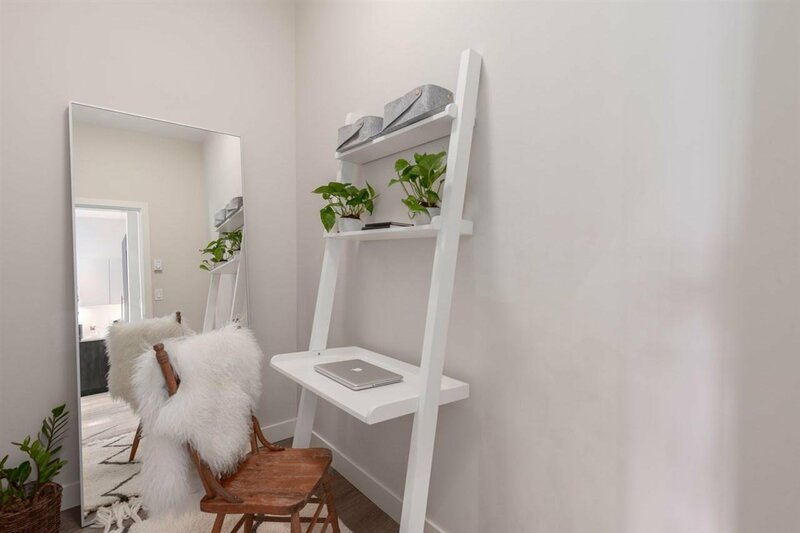 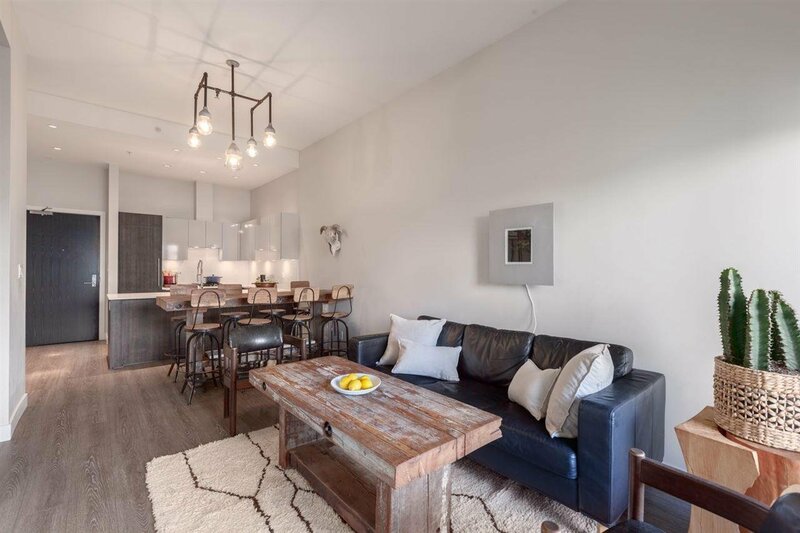 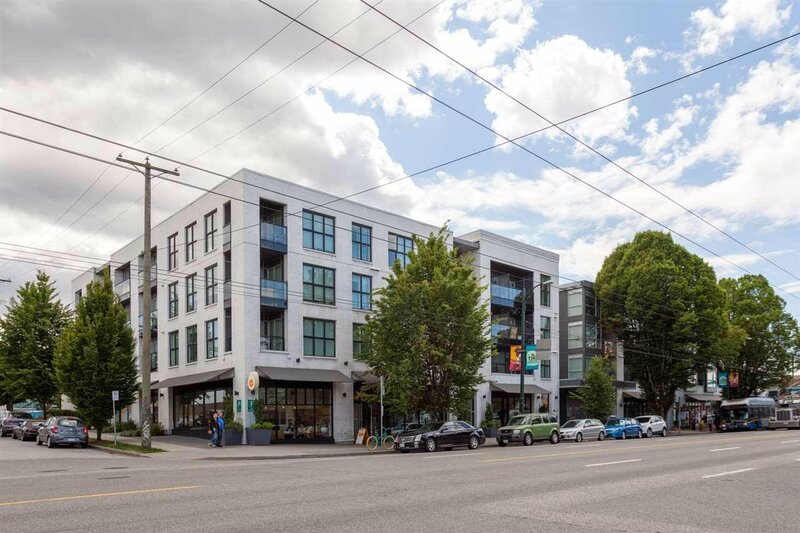 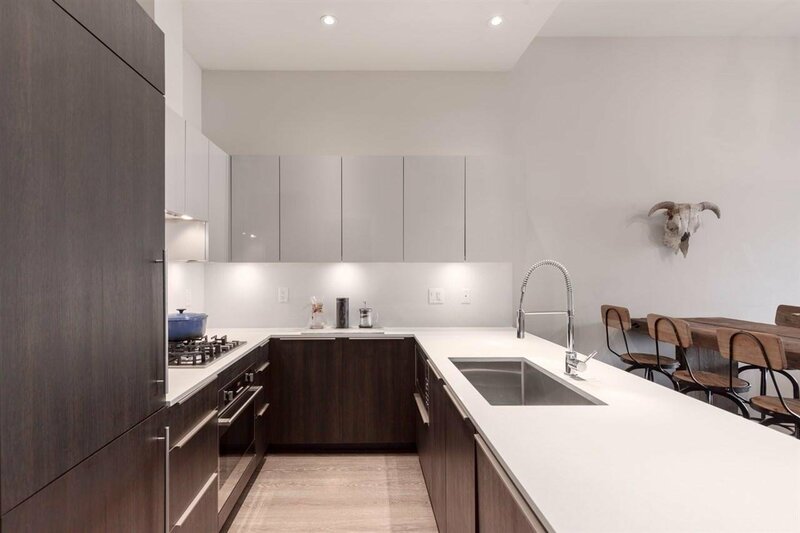 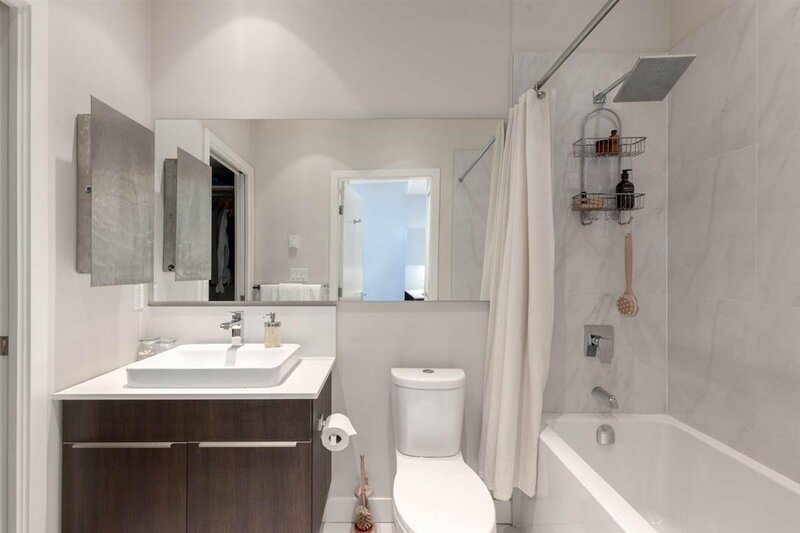 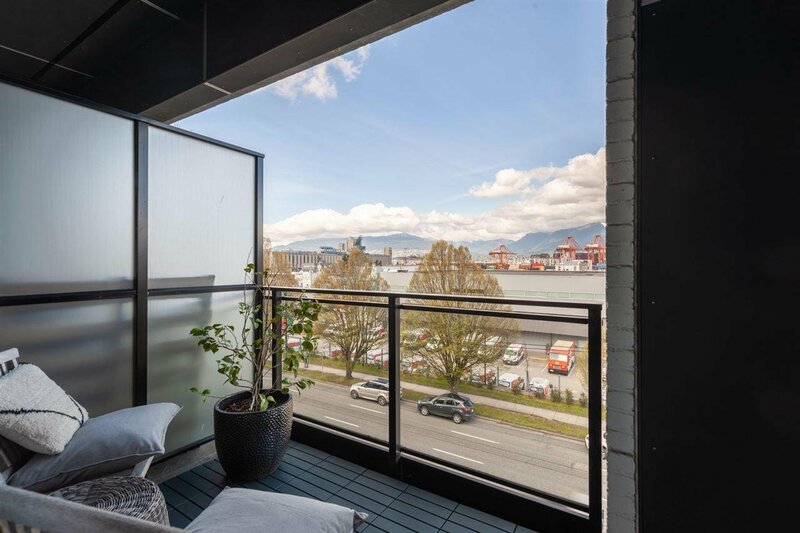 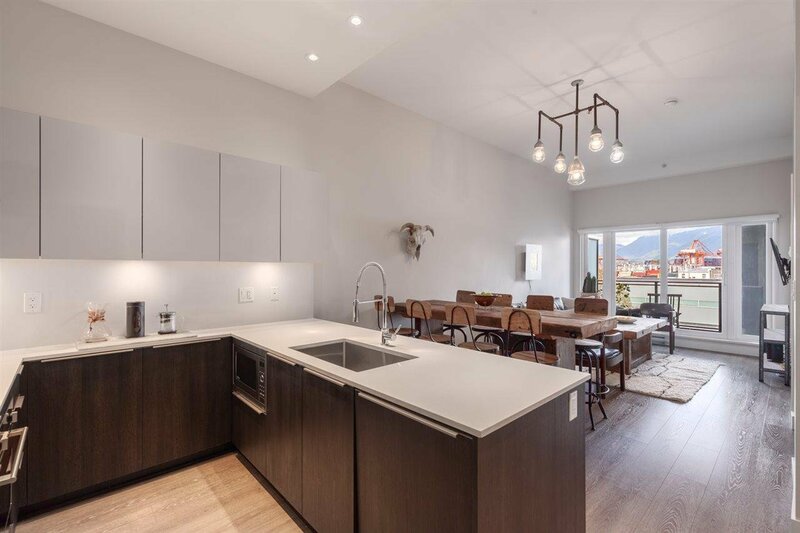 This perfect top floor 1 bed + flex unit presents 621 sqft of open concept living space, almost 11' soaring ceilings and elegant wide plank flooring. 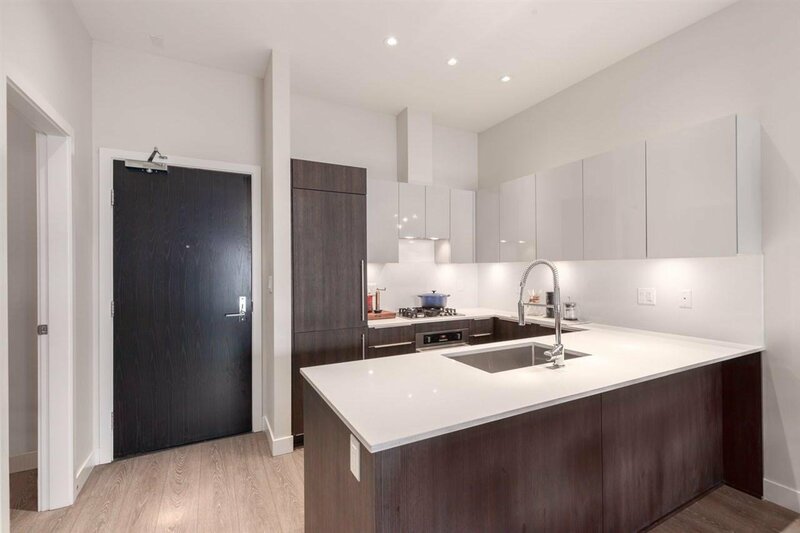 Gourmet kitchen with dual tone cabinetry and Euro SS appliances incl gas burner stove perfect to cook & entertain. 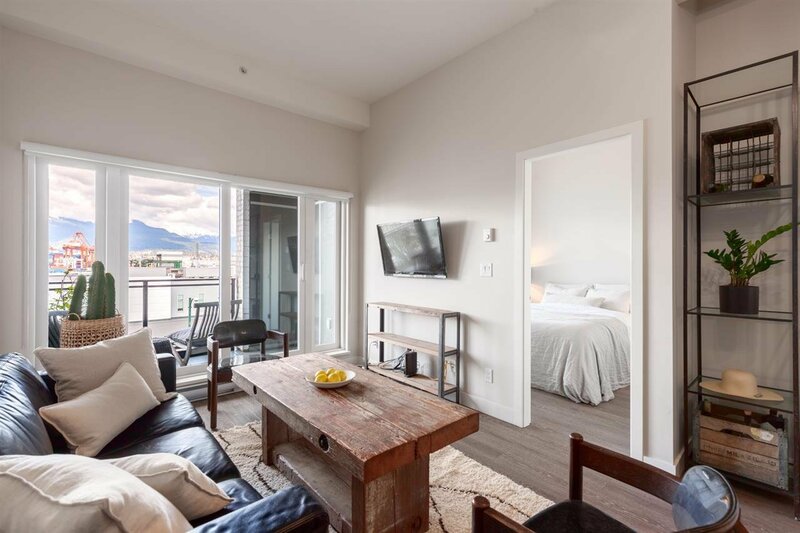 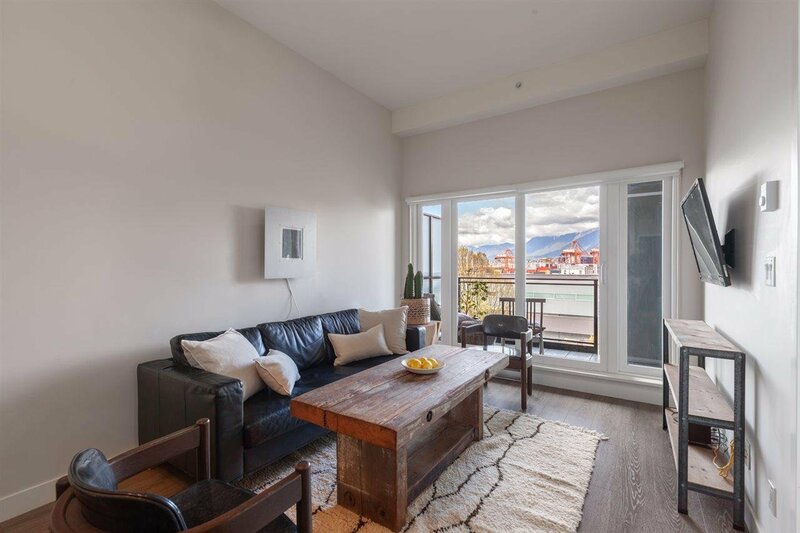 Enjoy sweeping views of North Shore Mountains from both living area and bedroom. 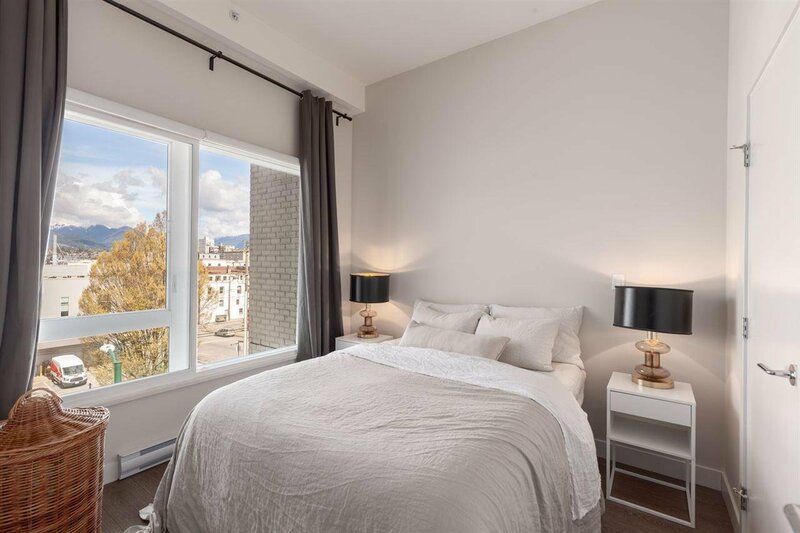 Bedroom features double insulated window for noise reduction, custom walk-in closet and ensuite with extra large tub. 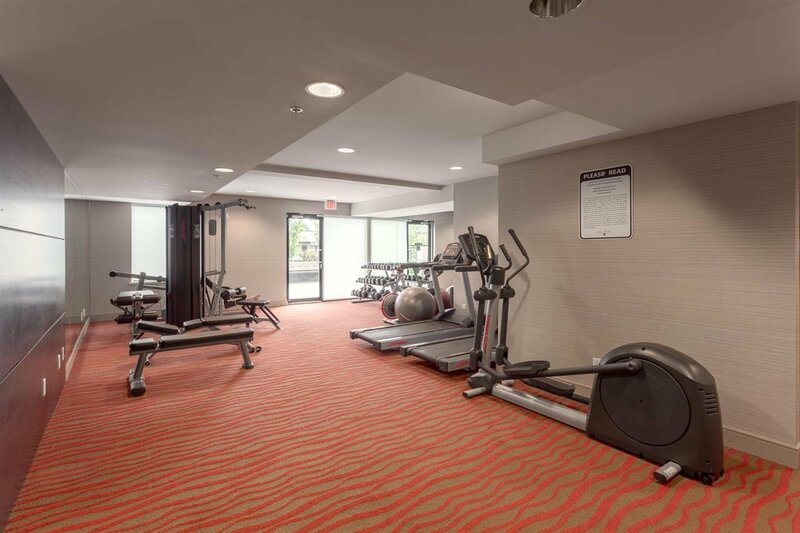 Well maintained building with amazing amenities including a gym, garden, secure bike room & more. 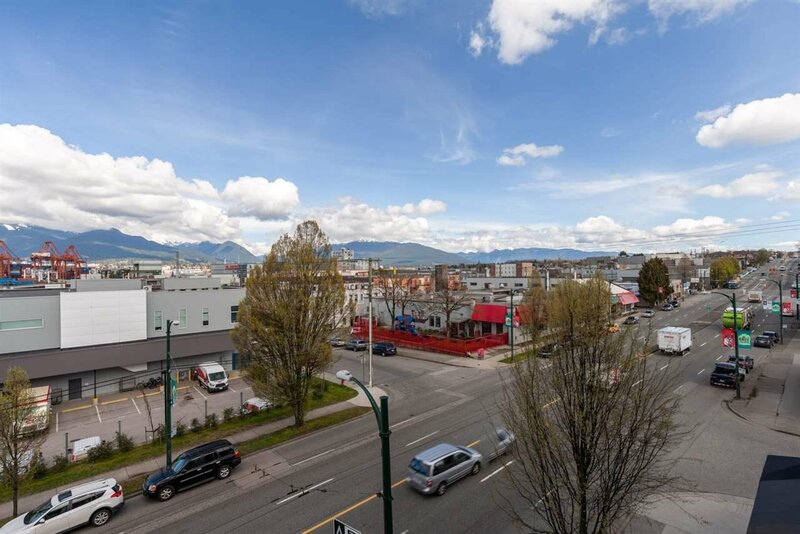 Located steps to The Drive, craft breweries, Yolks, No Frills, transportation & more! 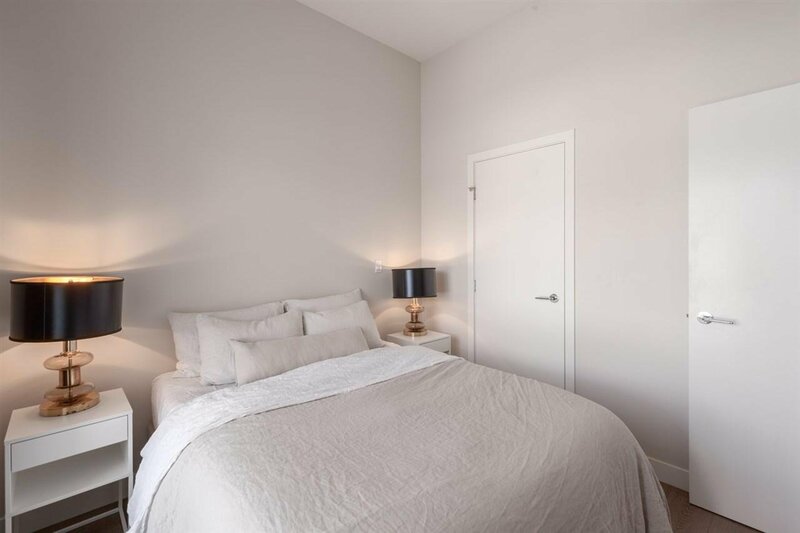 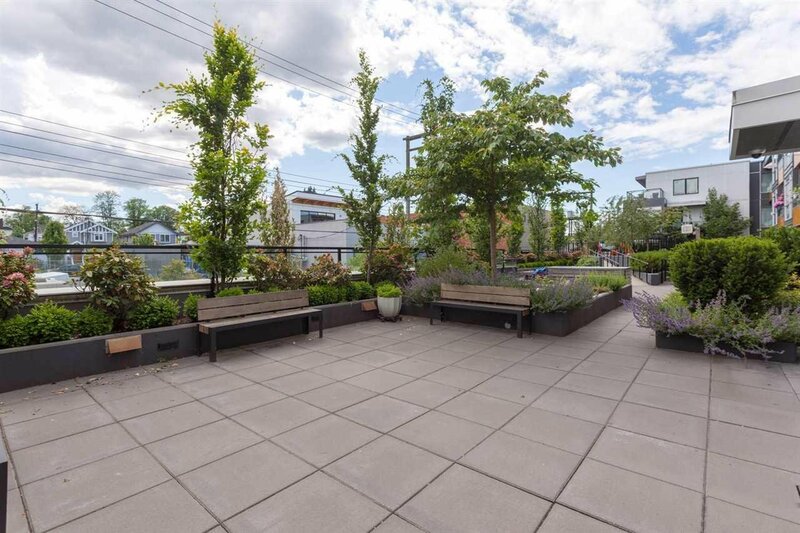 This lovely unit comes with both parking and storage, and is rental & pet friendly.